Synopsis- With his rugged good looks, vast wealth and family name, hell-raiser Hutch Carmody is still the golden boy of Parable, Montana. But he’s done some growing up—making peace with his illegitimate half brother and inheriting half of Whisper Creek Ranch, which should have been all his. These days, Hutch knows there are some things money can’t buy: like the heart of loving, ladylike divorcée Kendra Shepherd.Kendra’s quiet mansion reminds her of what she wants most—a devoted husband and the pitter-patter of little feet. She can’t get Hutch Carmody out of her mind. But a rough-and-tumble cowboy like Hutch, coming home for family dinner? Seems crazy! Then again, crazier dreams have become reality under the vast Montana sky. 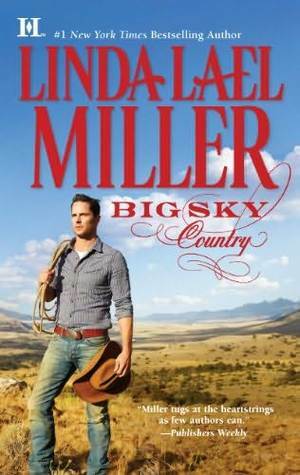 Review- When I read Big Sky Country (my review), the first book in Miller’s Swoon-Worthy Cowboys series, I thought I had fallen in love with a country cowboy series set in the U.S. 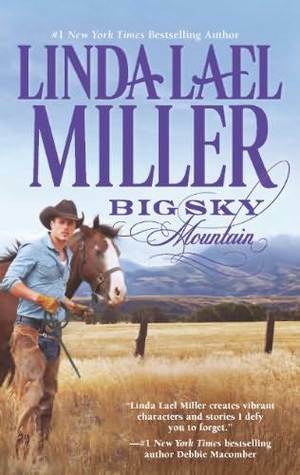 But after reading the next book, Big Sky Mountain I quickly changed my mind. I was really disappointed. I loved Slade and Joslyn’s steamy romance and the small town feel of Parable, Montana. However, Kendra and Hutch were introduced as the heroine/ hero this time around and I just couldn’t bring myself to really care for either of them. They didn’t stand out as likeable characters in Big Sky Country and they certainly didn’t redeem themselves in Big Sky Mountain. Kendra has tended to her dying ex-husband overseas and returns to Parable widowed, with a four-year old daughter in tow. Hutch is introduced in the first chapter in the middle of his own wedding which he calls off as the bride begins to walk down the aisle. A lot has changed in the years since Kendra and Hutch experienced a passionate fling that ended badly with Kendra marrying another man and Hutch standing by as she did so. Neither has recovered from their heartbreak and in the aftermath of Hutch’s almost wedding he and Kendra start to reconnect, though their hurt is still evidently raw. It wasn’t just the characterisation that let down this story, but also the plot and the sense of conflict. It felt as though all the plot- conflict had happened by chapter one and the rest of the book was merely about the conflict within their relationship- particularly why they shouldn’t be together. It seemed a little far-fetched to me that Kendra marries some guy fresh out of her relationship with the supposed love of her life and then they separate and because he is dying she returns to his side (this was covered in Big Sky Country). Now she comes back with her ex-husband’s daughter (conceived to another woman while he was with Kendra) who she has adopted. What really frustrated me about Kendra was that she really took no responsibility for the fall-out between her and Hutch. She believed that he stood by and watched her marry another man and didn’t try to stop her. I think that’s more a character flaw of Kendra than Hutch. She was the one marrying someone when she was in love with someone else and it’s unfair to expect Hutch to save her from the mess. Then she had the hide to blame him for her heartbreak! Hutch on the other hand obviously isn’t great with expressing his feelings with no thanks to his strained relationship with his deceased father. However, I didn’t really understand Hutch and Kendra’s attraction, beyond the physical and the fact that they wanted a family. Unfortunately due to the monotonous plot and the disagreeable characters, Big Sky Mountain did not rate well for me. I did love Miller’s first book in the series, so I hold hope that the next book introduces interesting characters and an exciting plot.